“Each skater has their own style. They don’t just learn and do tricks; they make the tricks their own. 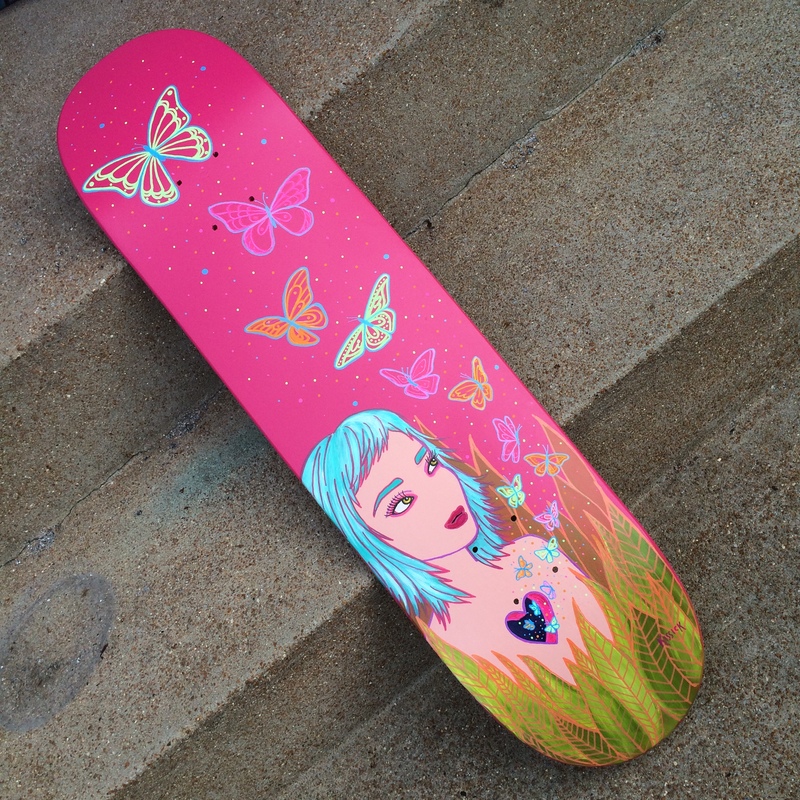 I’d tried to skate a few times as a teenager but could never actually get a board off the ground, aka, pop a board,” said St. Louis artist Kat Kissick. “But my art – my style – is generally known for bright colors, strong lines, and at times, a bold graphic quality. Putting my art on a deck – and popping the board that way – is really the only way I could make a deck my own.” Come by SPACE this Friday night to get an eyeful of Kat Kissick’s tricks: playful graphics and rainbows of vibrant colors on skateboard decks. 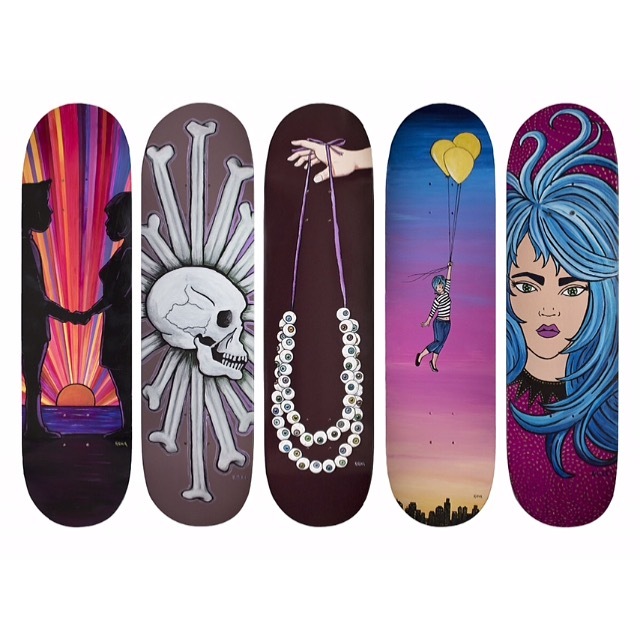 She painted her first deck as a gift to her skateboarding boyfriend, and she was hooked. “Finding a way to tell a story on an unusual canvas was the challenge I’d been looking for and didn’t even realize it,” she said. Kat prefers painting on wood over canvas, so the decks are the perfect vehicle for her paints. Pop the Board! Opens this Friday, August 7, 2015, with a reception from 6:00 to 8:00 PM at SPACE Architecture + Design, 4168 Manchester Avenue, St. Louis, MO 63110. Kat’s bringing delicious Four Hands Beer for your drinking enjoyment, and her decks will be on sale for $150 each. (Cash, credit card and PayPal accepted.) Check out more of her work on Etsy, Facebook, Instagram, and her website. See you Friday!